Born in 1964, Belgian Photographer Serge Leblon studied cinematography at the INSAS in Brussels. Working as a photo reporter in the Middle East, Leblon covered the war in Lebanon. Later he started a project on formalisation and incommunicability and contributed to The Face. His editorial work has been published in several major fashion magazines including Another Magazine, Dazed & Confused, Big, I-D, Self Service, Purple Fashion, Vogue China and Vogue Nippon. He has also shot advertising campaigns for Sonia Rykiel, Azzaro, Tsumori Chisato and Cacharel and exhibited in New York, Brussels, Paris and Tokyo. 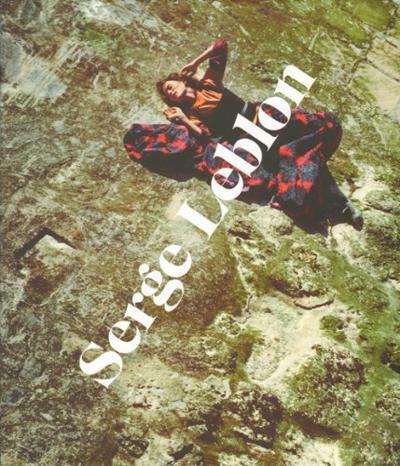 This book covers his fashion photographs and includes an interview with Leblon by LoÃ¯c Prigent. Text: Prigent Loïc. pp. 384; hardcover. Publisher: Ludion, Gent, 2010. Request info for "Serge Leblon. Fashion"